McGill provided design, bidding, and construction administration services to rebuild the 1940s-era Elizabethton District Substation. The majority of the equipment within the substation was original equipment. The relays were antiquated and the structures had significant corrosion. One of the transformers would not pass testing and was not available for service. Due to the location and high visibility of the substation, the City not only wanted the new station to be its “flagship” state-of-the-art station, but also have aesthetic appeal. Complicating the project was a Tennessee Department of Transportation (TDOT) project replacing the Highway 400 Watauga River Bridge. TDOT had acquired a large portion of the substation property, resulting in significant substation rearrangement. Each of these objectives had to be met with minimal outages, due to the difficulty in transferring load to other substations. 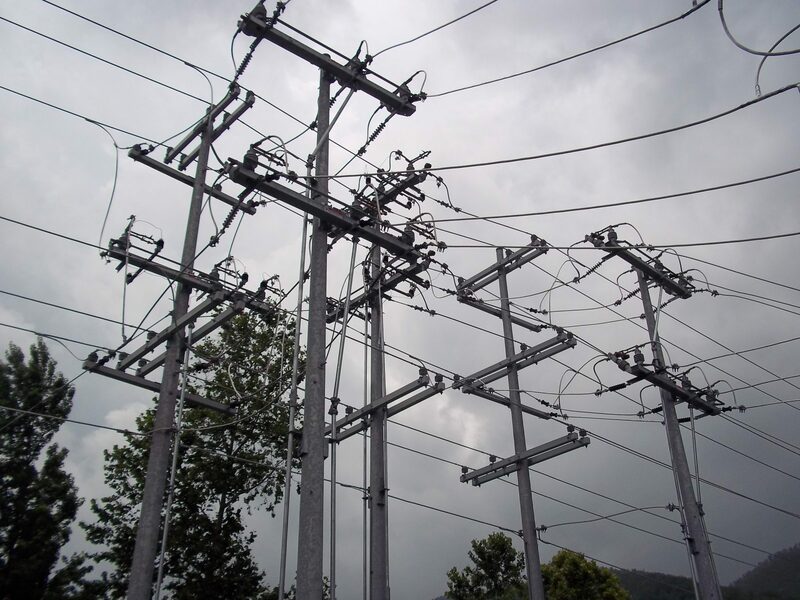 With these constraints in mind, McGill designed a low-profile substation configuration that conformed to the available space, while providing free-flowing access to all major equipment. The new substation incorporates 2-25 MVA ONAN rated transformers, each supplying a 12.47 kV bus via main and bank breakers. The two buses are configured with main and transfer buses, with the main buses connected with a tie-breaker. Each bus supplies four – 12.47 kV circuits via underground medium-voltage cable exits to improve their appearance. The transformers are protected by high-side 69 kV circuit breakers. The station is outfitted with a control house containing modern microprocessor relaying and SCADA equipment. The protection scheme employs overcurrent relaying for the distribution circuits, high-impedance differential relaying for the buses, and differential relaying for the transformers. Backup relaying is incorporated throughout, including transfer trip via radio to the supplying transmission substation. Substation automation features main-tie-main switching upon transformer or line failure to automatically restore all distribution circuits. The City of Elizabethton is in the heart of the smokey mountains, known for its vibrant and historic downtown, as well as its accessibility to hikes and whitewater adventures.